Not every water damage loss requires a professional. For smaller water losses where it just doesn’t make sense to file an insurance claim or hire a professional, or if you don’t have insurance coverage, you can still rent professional-grade equipment from WET to manage the loss yourself. We’ll even deliver the equipment to your property so you can stay focused on the job. 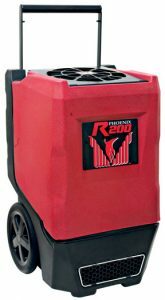 The Phoenix R200 effectively removes moisture from the air after a water loss and is both compact and energy efficient. Managing humidity during the drying process is essential for increasing drying times and preventing mold growth in the affected area. These high powered fans encourage fast drying of an area of a building damaged by water. 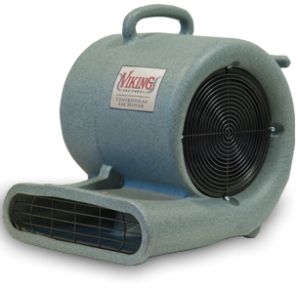 Air movers encourage evaporation and promotes circulation, drying an area faster than standard fans with less power.